This is the first time I join this blog train, and I am so happy I did. 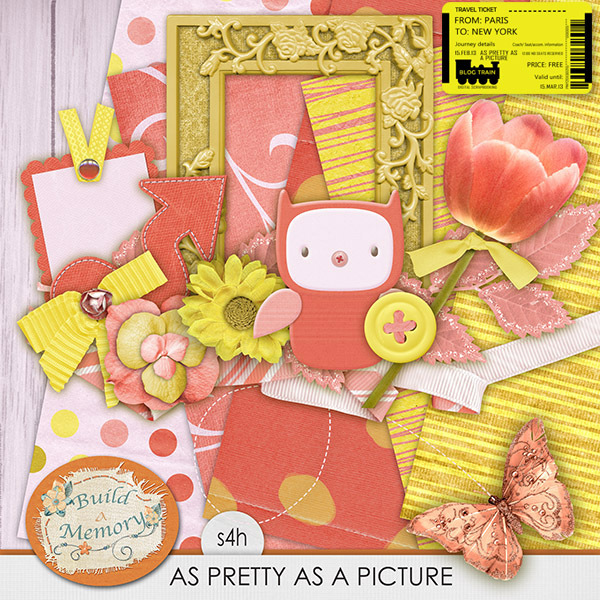 This months theme is As Pretty As A Picture and it has beautiful bright colors. Stay tuned for an add on in my fan page and I will be sending a solid with glitter papers in the next newsletter (on February 17). Thank you, love colors! Merci beaucoup! The owl is adorable! Thank you! Very cute, thank you for sharing. Love the owl and the papers. Thanks for the super cute kit! Thank you! I hadn't heard about this blog train, glad I visited your blog. Thank you for sharing all your parts of this blog train with us. :) Beautiful work!